Dec. 1 marks the 25th anniversary of World AIDS Day, the beginning of a month of awareness and reflection among those all across the globe who’ve been affected by this deadly disease. Established by the World Health Organization in 1988, it’s a time for support, a time of raising funds for research, and a time for healing. AIDS has killed more than 25 million. More than 33 million are currently living with the HIV virus. Spread the word. Volunteer at a local nonprofit. Wear a red ribbon in solidarity for all those affected. Help end this disease before it claims yet another life. Together, we can do this. Bob Dylan recently released an interactive video for his classic “Like a Rolling Stone” that pushes the boundaries of the medium and adds a whole new dimension to the tune. The uninitiated may be a tad confused, but the concept is pretty simple. Whenever the channel changes on the video, whether to the Shopping Network, HGTV, or the History Channel, for example, listeners hear Dylan’s track through the actors/broadcasters on TV. Tough to beat the floating cat. …if you can find them. The new generation video game devices hit stores one week apart from each other last month and immediately sold out. While smartphone and tablet video game apps have grown in popularity, they don’t match Xbox or PS4’s amazing graphics and vast entertainment options. Simply amazing. Good luck! The second installment of director Peter Jackson’s vision for the J.R.R. Tolkien masterpiece, Bilbo, Gandalf and the 13 dwarves continue their quest through Middle Earth toward the terrifying fire-breathing ancient dragon Smaug. Edge-of-your-seat adventure is a guarantee, brought to life by undoubtedly mesmerizing special effects and battle scenes. Will the hobbit and his band of friends defeat the scaly fork-tongued beast or simply become a crispy snack for the giant lizard? Only one way to find out (besides reading the book). It premieres Dec. 13. Christmas Eve marks the 100th anniversary of this brutal tragedy, whereby 74 people at a packed Calumet, Mich., Italian Hall holiday party lost their lives (59 were children) in a stampede when someone yelled, “Fire!” (There was no fire.) Immortalized and inspired by Woody Guthrie, who wrote a song about the disaster, this documentary follows his son Arlo to the town in a quest for answers and features interviews with the last living witnesses. It’s a grim, moving, and important reminder. Transform you and your friends into cartoon form. Create funny comic strips starring you and all your buddies. Instead of the usual sentence, send out cartoon status updates! This app allows users to cross into the realm of all things comic and cartoon, delivering tons of fun and creativity in the process. Begin this journey at Bitstrips.com. Even if you can’t make the 81st annual lighting celebration on Dec. 4—which is sure to be mobbed by tens of thousands of people, anyway—it’s still worth the trek into Manhattan to marvel at the 45,000 twinkling lights strewn across five miles of electrical wire hanging from the gigantic Norwegian Spruce’s bows. The mammoth Swarovski crystal way up on its top is sure to be glorious, as usual. And there’s also the center’s ice skating rink, too! It’s really the best of several worlds—caffeine, cinnamon, ginger, honey, etc.—blending together to bring joy to the tongue, warmth to the belly and myriad revolutions of thought and imagination and miracles to the mind. And why not spread a little physiological joy, any way!? Sip gulp chug slosh that magic elixir around while you can—dunk a candy cane in there, too! You’re welcome! Why!? A freshly baked, piping hot pie dripping with juicy fruits yet boasting a crispy, flaky crust will not only warm your gut but satisfy your soul. Try your best to cut those slices evenly, but the good ones, as you know, always slide apart, so you’re probably going to have to bare-hand that thing. No worries, winter is upon us, dear friends, so time to bulk up! 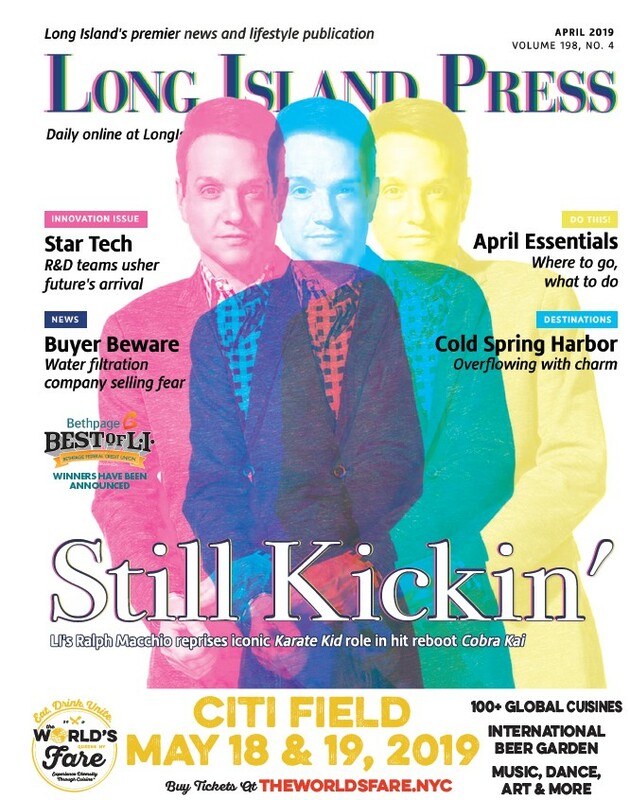 For some of the great purveyors, check out HOT PLATE, “Sweetie Pies: Long Island Bakeries Heat Up For Holiday Sugar Rush” on P. 50. 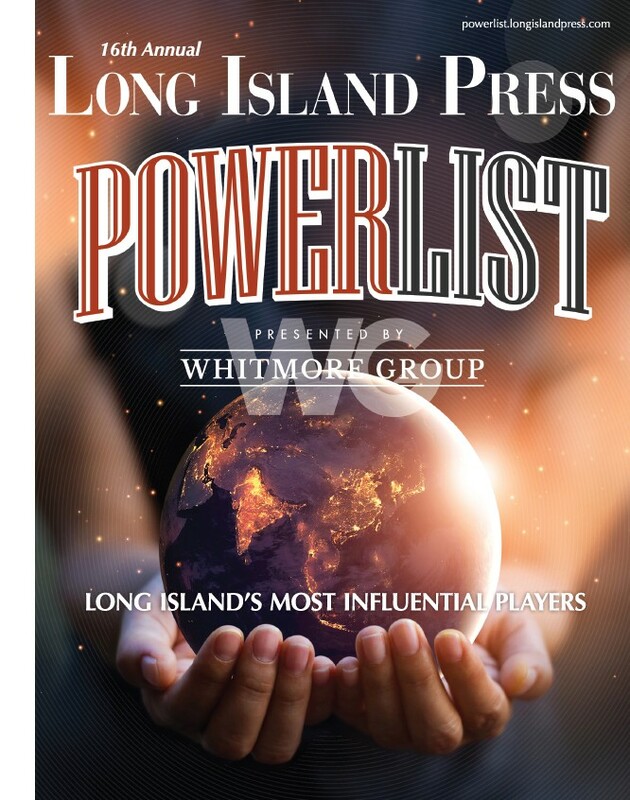 To vote for the truly best across Long Island, go to BestOf.LongIslandPress.com. Hurry, though, voting ends Dec. 15! Enjoy dinner with friends. Party with loved ones. Head into the city. Have a few drinks. Laugh out loud. Go dancing. Throw some confetti. Toot a whistle. Make some noise. Celebrate life! Kiss someone at midnight.